The Hotel is located in the gorgeous Island of Favignana, featured by its turquoise large bays, beautiful beaches and suggestive coves. Located in the old village centre, 50 meters from the seaside, it can be reached easily from the port that is only 400 m. far away. This Hotel is the ideal place where to spend beautiful holidays, discovering the naturalistic and landscape beauties of the Aegadian Islands with their rich history and tradition. 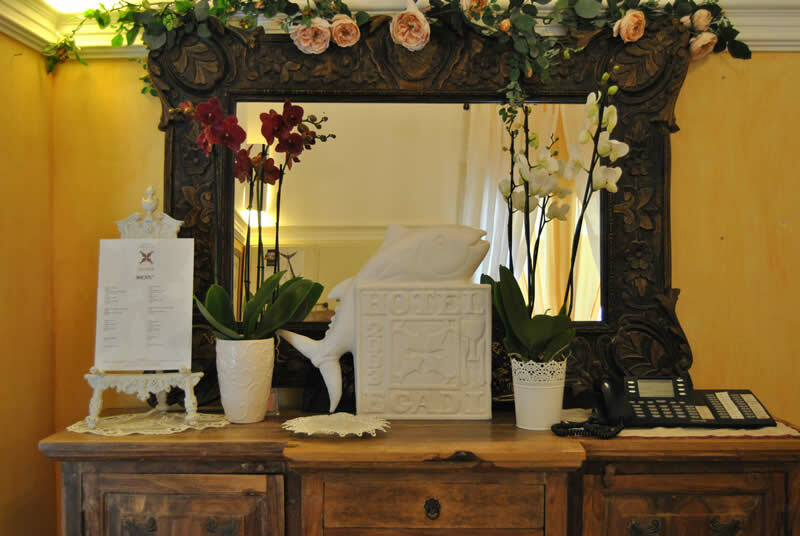 The Hotel is skilfully restored, with full respect of architectural peculiarities of the original construction, offers to its guests full comforts to spend an unforgettable holiday. Restoration has been carried out with the purpose to improve the functional requirements of the building, improving, in the same time, the charm of the original construction. Particular attention has been given to the furnishings, with the idea of offering to our guests a refined hospitality with the warmth of a familiar place. The Greek called the island Aegusa but the island was named Favignana after the wind Favonio during the Middle Age. It looks like a big butterfly alighting peacefully on the Mediterranean waters. These waters still evoke historical and mythical episodes. Those who reach Favignana first notice the elegance and the lightness of Palazzo Florio (1876), symbol of the island. You can start your tour around the town from here and following the main street you will reach the heart of the island's life, Piazza Madrice, where anything happens. On the right of the square you can penetrate into the St Anna neighbourhood, the most ancient nucleus of the town. Here, among the simple houses built in tuff, there are wonderful hypogeum gardens. 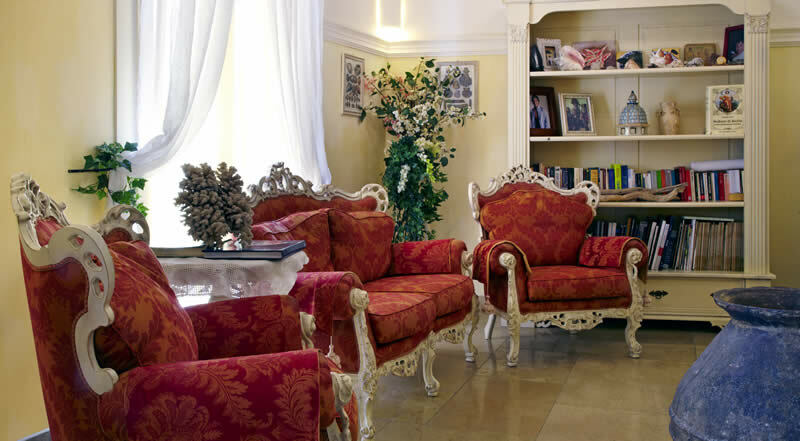 Equipped with every comfort, each room is decorated in classic style with warm pastel colors: yellow, blue, pink and orange. The suite has an Amazing scenic terrace, leaned out of the sea. Every evening The restaurant, mentioned in the best restaurant guides, offers different tasting menus. Transfers to and from Trapani - Favignana. Rent a car, bike or scooter. Guided tours - archaeological sites.